Devin Hoff takes the last sip of his red wine and puts the glass down on the grass. 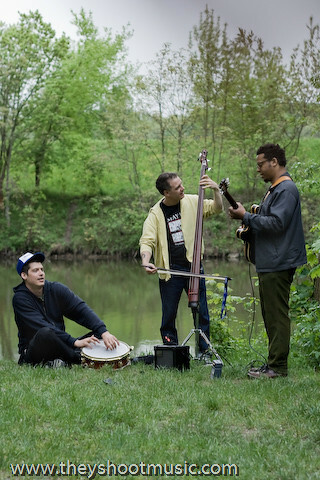 The bassist of the Californian experimental pop band Xiu Xiu stands together with his bandmate Ches Smith and Jeff Parker, guitarist of the highly influential postrock band Tortoise from Chicago in what looks like the middle of nowhere, with nothing except fishermen, leisure cyclists and a railway bridge around. 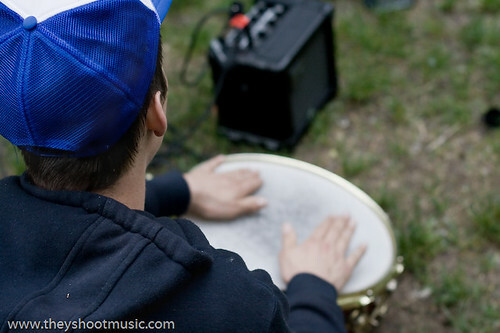 Not only the location is uncommon for our sessions that normally take place in urban surroundings. 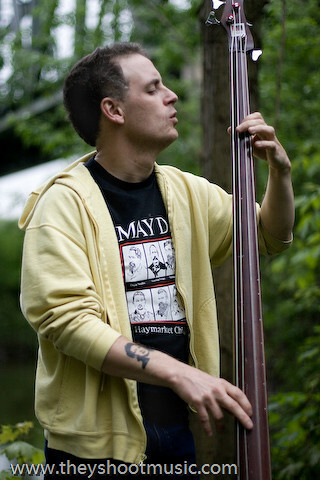 We asked Jamie, the singer and mastermind of Xiu Xiu if he was up for a video shoot with us. 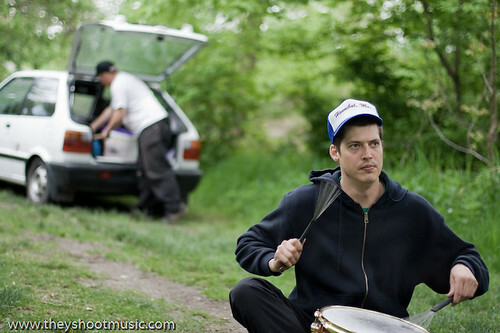 He politely turned down our request but referred us to his bandmates Ches and Devin, who do a Jazz-Trash-side project called Good For Cows. 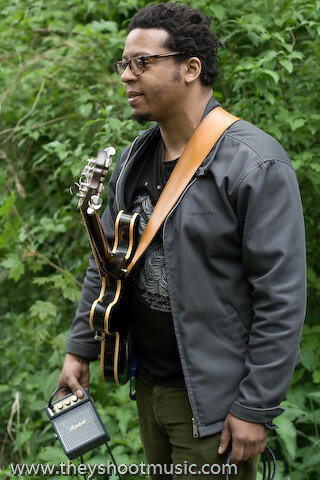 As Tortoise played the Donaufestival the same night the two of them invited their mate Jeff Parker to join the laid-back performance on the riverside. 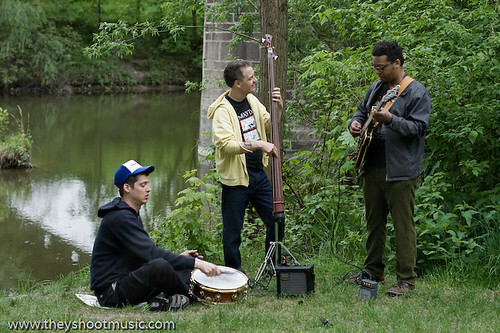 The result is neither Tortoise nor Xiu Xiu or Good For Cows, but an improvised Jazz session interpreting classics from Charlie Parker and Ornette Coleman played on our tiny almost toy-like amps and accompanied by singing birds and passing trains.